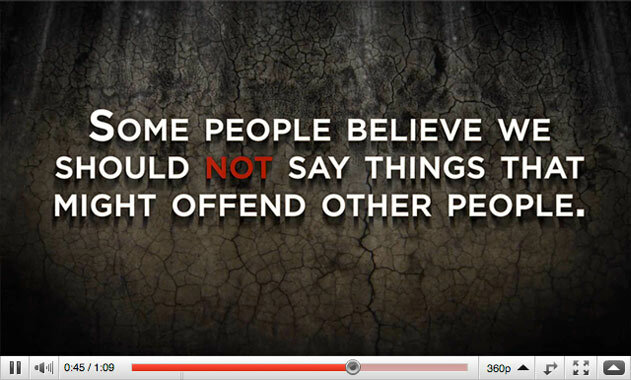 Atheist Geek News » Announcements » One Month Left To Enter CFI’s Campaign For Free Expression Video Contest! 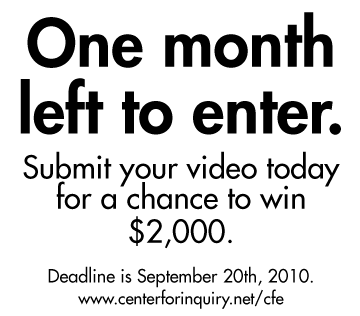 One Month Left To Enter CFI’s Campaign For Free Expression Video Contest! The right to freely express oneself is vital in a modern society. We would like you to tell the world why. As part of the Center for Inquiry’s Campaign for Free Expression , our Public Service Announcement Video Contest is underway. Participation is easy: create a short public service announcement style video about the importance of free expression, upload the video to YouTube, and tag it with “Campaign for Free Expression Video Contest”. Videos must be submitted by September 20th, 2010, and on International Blasphemy Rights Day, September 30th, 2010, we will announce the top three winners. and first place walks away with $2,000. For more information, or if you have any questions, please visit www.centerforinquiry.net/campaign_for_free_expression/ or email videocontest@centerforinquiry.net.